How Can Accidents and Injuries Be Prevented? Accidents are so common that you may hear many people claiming that there is no possible way to prevent them or subsequent injuries, but such talk can be very misleading. While a small minority of freak accidents are considered unavoidable, most accidents are the result of human negligence and could have been prevented. The best way to prevent injuries and accidents is to be mindful of our actions, and to understand the disastrous effects of negligence. Individuals need to remain vigilant about their duties to act in non-negligent ways, and they also need to be aware of how another person or company’s negligence could harm them. When we get behind the wheel of a car, we must follow all traffic safety laws – When you fail to drive responsibly or maintain the safety of your property and someone else is injured due to an accident, then you can be held legally liable for any financial damages. We must create a safe working environment for ourselves and for our fellow employees by following all company safety and wellness plans, using all provided protection equipment, and by avoiding taking shortcuts in our work in order to avoid any workplace injuries. When we own a property, we are responsible for the guests on our premises, so we need to keep it clear of safety hazards. For instance, in order to prevent slip and fall injuries, we should keep common areas clear of obstacles, make sure those areas are well lit, and clean up any spills promptly. If we own a pet, then we are ultimately responsible for their behaviors and must take preventative measures to ensure that their actions (or reactions) do not negatively affect others. For instance, they should be taught to understand obedience, we should make sure our fences are high enough to keep them safely on our property, and we should never let either roam alone. If someone suffers from a dog bite injury due to your dog’s disobedience, you could be looking at hefty fines amongst other harsh consequences. If we have a commercial property that we need to invite customers or clients to for business purposes, then we need to make sure that the property is safe to visit. Lastly, in preparation for the unavoidable, everyone should have adequate insurance. Whether that be car or motorcycles insurance to protect ourselves and others from accidents on the road, a company’s insurance coverage (including workers compensation insurance) which should be adequate for employees’ needs, or homeowners insurance with liability coverage which may help prevent us from paying out of pocket should the unexpected occur and a guest has an accident in our home. As individuals, we can control and prevent ourselves from acting in negligent ways which will prevent injuries and accidents. 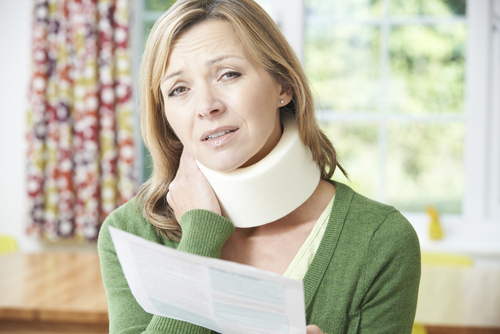 However, when someone else’s negligence is the cause of your injuries, then you should pursue financial compensation. Holding an individual or company responsible for their negligence in civil court gives them a financial incentive to refrain from acting negligently in the future. While large companies may not be moved by individual lawsuits, they are affected when large amounts of people stand up and demand compensation. Don’t ever allow someone you know or a company to get away with negligent behavior. Holding people accountable for negligence, whether privately or in civil court, is what prevents accidents and injuries from happening again. If you’ve been injured due to someone else’s negligence, then contact TeamLaw at 1-800-832-6529 or via our online contact form to learn more about how our expert attorneys can help you in your fight for your full financial recovery.